This elegant urn is made from crushed marble mixed with resin. This elegant urn is made from crushed marble mixed with resin. 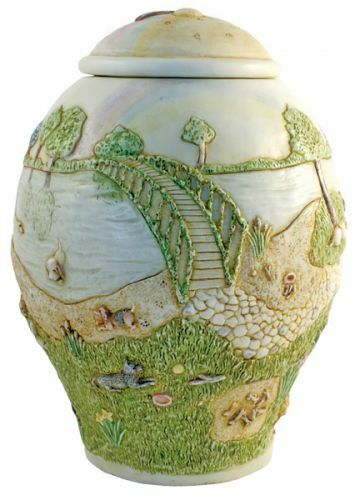 The Rainbow Bridge urn is based on the rainbow bridge poem. The lid sits on base. We recommend for a permanent seal to use a adhesive epoxy. (not include).